Pan Baltic Scope focuses on cross-border collaboration and has three interlinked work packages with 12 activities. We establish a Planning Forum as the central platform for the collaboration on specific planning issues identified by the planning authorities and regional organisations. We carry out concrete cross-border activities at different geographical levels to meet the needs of the national maritime spatial planning processes and to support the successful implementation of the EU MSP Directive. We develop methods to build better maritime spatial planning processes with land use planning processes to emphasize land-sea interactions. We share best practices and build new knowledge. The partners will secure the long term sustainability of the project and its results, having formal roles and mandates in MSP at national or at sea basin level. It is a platform for collaboration on planning issues identified by the planning authorities and regional organisations. This activity is working on the development of as best as possible transboundary coherent SEA using a coherent approach and assumptions for the southern Baltic as test case for methodologies and guidance developed previously. 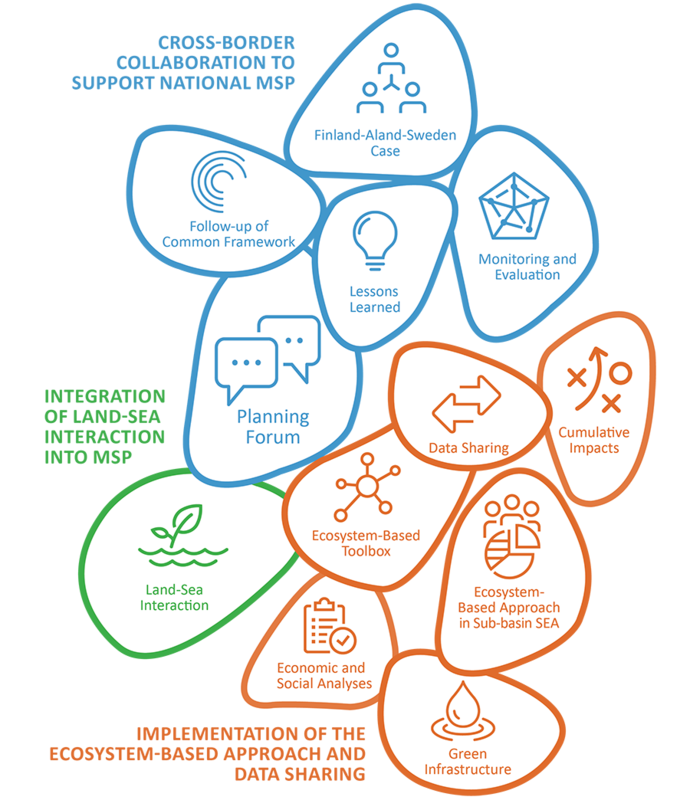 The activity should contribute to a coherent implementation of ecosystem-based approach (EBA) in national MSP in the Baltic Sea Region. Case comprises the waters between Sweden and mainland Finland, including the autonomous region of Åland with its archipelago. 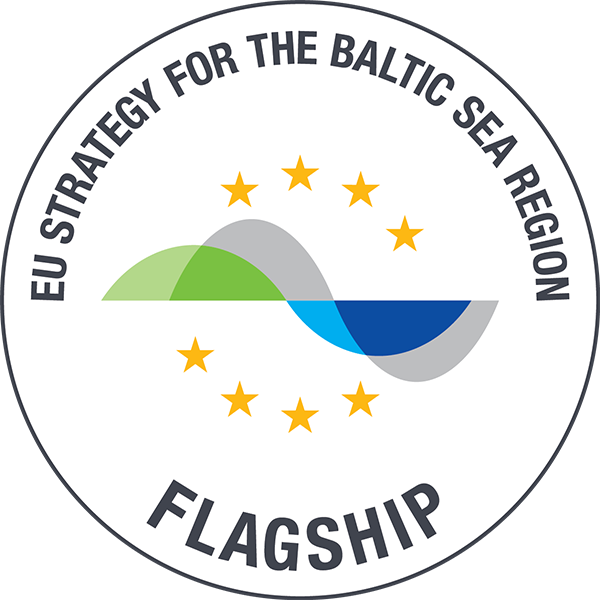 The aim is to enhance shared Baltic-wide spatial data, and to develop knowledge capacity and tools for addressing cumulative environmental impacts in connection to maritime spatial planning. The goal of activity is to facilitate data exchange and cooperation under MSP consultations. With the help of a Baltic MSP web-map, countries should be able to exchange MSP Output data needed for any kind of analysis in order to have maritime spatial plans coherent across borders. The Land-Sea Interaction activity aims to identify important aspects and challenges when practically working with LSI in Baltic Sea marine planning and to test ways to address them by developing practice based on concrete needs of the BSR countries that are now developing their marine and coastal planning. Poland and Latvia will plan evaluation of MSP and in close collaboration with the respective MSP authorities. Within this activity application of the three documents in the Baltic sea countries will be evaluated to see how they work in practice, how successful the countries have been in implementing joint framework. 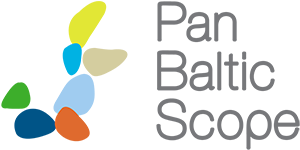 Activity provides a platform for project partners to voice concerns and positive developments from their work within the project.